OWEN, WILLIAM FITZ WILLIAM, naval officer, surveyor, landowner, politician, author, justice of the peace, and judge; b. 17 Sept. 1774 in Manchester, England, son of Captain William Owen* and perhaps Sarah Haslam; m. first January 1818 Martha Evans “of Bedfordshire,” and they had two daughters; m. secondly 11 Dec. 1852 Amy Nicholson, née Vernon, in Saint John, N.B. ; d. there 3 Nov. 1857. Little of the future importance of William Fitz William Owen was to be noted in the first 30 years of his life. Illegitimate and orphaned at the age of four, he was boarded in foster homes in north Wales and knew nothing of family life and affection. However, he was an able scholar, best in mathematics and languages. His father’s friend Sir Thomas Rich kept an eye on both Owen and his elder brother, Edward Campbell Rich Owen, and was their patron, introducing them into naval service. William embarked at 13 in Rich’s ship, Culloden, and from that time shipboard was his universe. On shore and in civilian society he was, throughout his life, eccentric and out of his element. As midshipman he specialized in navigation and was latterly assistant master. Self-willed and boisterous, he was twice reduced to able seaman as a matter of discipline. Passing his Navy Board examination on 6 March 1794, he was appointed lieutenant on 24 October but tangled with his captain, was court-martialled at Cape Town (South Africa), and was dismissed from the service on 25 June 1795. The influence of his patrons was sufficient to bring him again into the service, for he was a midshipman in the London during the Spithead naval mutiny in May 1797. His reputation as a hard disciplinarian was already established: he was singled out by the mutineers as “too hard” and was confined in irons in the hold until he escaped with other officers. He was commissioned lieutenant a second time on 12 June 1797, commanding the gun vessel Flamer, and saw service under Lord Nelson in the English Channel till 1803. Owen began to emerge as a seasoned naval commander of unusual energy and ability during the nine years of war service in the Indian Ocean that began in March 1804 on the Seaflower. He commanded in battle, led naval assault landing parties, and piloted fleets into action through uncharted waters. Captured with the Seaflower by the French southwest of Sumatra, he spent 21 months as a prisoner-of-war on Mauritius, during which time he was promoted commander. Following his release, he was quartermaster general in charge of loading troops and equipment for the British assault on Mauritius in October 1810 and the following May was promoted post captain. Captain Owen had also begun to show evidence of his assurance in the art and science of naval surveying during his service in the Indian Ocean. Beginning in 1806 he completed a number of projections of ships’ tracks and manuscript charts. Although some writers have speculated that Owen learned the intricacies of naval surveying from Captain Matthew Flinders, the surveyor of the Australian coasts and a fellow prisoner on Mauritius, neither man made any reference to such collaboration. Owen’s independent interest in surveying and his self-confidence were written into the log of the Seaflower on 7 Aug. 1807 as he meditated on the surveying methods of East India Company officers on the China coasts: “Give me my health, a Blue Coat Boy, a Boat of 70 tons, Twenty Men & a Cockle Shell Jolly Boat & I would do it all whilst they are preparing for it.” On returning to England in 1813, Owen kept in touch with the hydrographic office of the Admiralty. In the following year it published his translation of Marino Miguel Franzini’s book describing the coasts of Portugal. Owen’s first appointment specifically as a surveyor was to duty in the Canadas from May 1815 to August 1817 to act as an assistant to his brother. His Canadian service fell into two periods: a first rapid reconnaissance in the summer of 1815 to determine a number of urgently needed facts, followed by deliberate scientific surveying of the St Lawrence River and the Great Lakes. While crossing the Atlantic he began an “astronomical journal” which eventually contained the longitude and latitude of significant locations along the Canadian waterway from Quebec City to Penetanguishene on Georgian Bay. These fixed points set the general frame of the surveying that followed. During his first summer in Upper Canada, Owen accomplished a number of urgent tasks. He confirmed the survey work already under way on Lake Ontario and the Grand River and examined both the mouth of the latter and the bay within Turkey Point in search of an appropriate site for a naval base. The international boundary at Saint-Régis near Cornwall was located and extensive soundings were taken in the Detroit River to provide data about the several channels which would be used in establishing the international boundary there. As well as a running survey of the north shore of Lake Erie, Owen began another of the east shore of Lake Huron and of Georgian Bay to near present-day Victoria Harbour: in the latter survey, land forms, timber resources, and navigational hazards were observed and again the site for a naval base was sought. The survey was hindered throughout the late summer when Captain Owen and his staff suffered from fever. A further hindrance arose from the heated tensions between British and Americans on the Detroit frontier. Lieutenant Alexander Thomas Emeric Vidal, a principal surveying officer under Owen, was arrested and detained at Detroit, which gave rise to time-consuming negotiations and protracted correspondence between British and American authorities. Yet the summer’s work yielded a wealth of new understanding of virtually unknown shores. Orders for the deliberate systematic survey of the St Lawrence River and lower Great Lakes were issued at Kingston on 5 Nov. 1815, envisaging work first in the region close to Kingston, and then in the upper lakes; time permitting, the frontier waters of Lake Champlain were to follow. The survey began on 1 Feb. 1816 with Captain Owen personally leading 7 officers and some 50 seamen and marines out onto the ice about the Thousand Islands to measure survey baselines. In the following 69 days about 300 miles of baseline were surveyed in an area 80 by 30 miles, with some 10,000 angles and bearings being recorded. Owen believed the accuracy could not “err two inches in a mile.” This episode, the beginning of accurate naval surveying in Canada, was typical of Owen, and his report breathes energy: in weather that reached –20°F, work took place “every day successively except the Sabbath from Eight O’Clock in the morning to six at night.” Yet there were special pay, extra clothing, and double rum rations for the men. Thus a formidable surveying problem was solved while the naval garrison was relieved from the tedium of winter routine. Months later the Navy Board criticized the method of accounting, questioning the extra expenditure of £144 18s. for wages and the further item of £96 5s. for four horses “to replace those which were lost” in the river: Captain Owen had nearly drowned on the first day when the teams went through the ice. A stone house in Kingston became the hydrographic office, supplying quarters for the officers of the survey, facilities for projecting their work, and a place for consultation and instruction. John Harris’s young bride, Amelia [Ryerse*], lived there and breathed a special note of domesticity into their society, remembered fondly in the correspondence of the officers in later years. This experience probably prompted the captain to marry soon after returning to England. Through the spring and summer of 1816 the surveying progressed until Lake Ontario and the St Lawrence River to near Prescott were completed. Early in 1817 the Niagara River was surveyed. On 14 June Lake Erie lay before the surveyors when the establishment was closed down as a matter of peace-time economy. Lieutenant Henry Wolsey Bayfield*, who had first learned surveying on the ice in February 1816 under Owen’s instruction, was left to complete the work when Owen returned to England in June 1817. Captain Owen had also borne the considerable weight of day-by-day naval administration from 26 Oct. 1815 to 31 May 1816 when he was the senior naval officer on the Canadian lakes in the absence of both the commander-in-chief and the navy commissioner. Beyond administrative detail and the direction of surveying, he continued to deal with the overriding problems of strategic planning. He reported at length on the siting of naval bases above Niagara and lines of communication which would be secure in time of war. Surveying the western shores of Lake Ontario and the Grand River led to speculation about a route from Burlington Bay (Hamilton Harbour) to the Grand River and Lake Erie. He also reported at length on possible improvements in the established route between York (Toronto) and Lake Huron by way of the Nottawasaga River. In May and early June 1817 he traversed the Trent–Severn water route with a small party and Indian guides but found it less practicable because of the need for expensive works. He had laboured with great energy and insight and his findings helped in the understanding of numerous key geographical situations which had been unclear until that time. The 27 months of Canadian service had established him as a master of surveying and his work founded scientific hydrography in Canada. Owen is best known for his surveys of the coasts of Africa in the years 1822–26. Sent to survey eastward from the Cape of Good Hope, he had his orders enlarged from time to time until his expedition had charted the entire east coast of Africa as well as southern Arabia, Madagascar, and several island groups in the Indian Ocean. On the return to England, long stretches of the west coast of Africa were examined and the Gambia River was carefully surveyed. In all, some 30,000 miles of coast were recorded and a chain of longitudinal distances extending from the British Isles to Bombay was established. The magnitude of the achievement placed Owen among the greatest British naval surveyors. The expedition had, however, suffered staggering losses from tropical fever beginning in November 1822, which caught public attention and partly obscured the achievement in surveying. Captain Owen registered a ringing denunciation of medical practice to the Admiralty, rehearsing the uselessness of “copious bleeding” and “large doses of Calomel.” In 1829, on the west coast of Africa, fever was again to dog his service. On the death of his surgeons he assumed control of treatment: by avoiding bleeding and energetic treatments, prescribing a purgative, rest, and fresh air, and administering quinine on remission, he proved to be well ahead of his time. Owen’s attention was not confined to surveying. He and his officers were appalled by the ravages of the slave trade and their testimony fuelled the anti-slavery movement in England led by Thomas Fowell Buxton. In two instances involving territories where political control was in dispute, Delagoa Bay (Mozambique) and Mombasa (Kenya), Owen accepted the temporary cession of the areas, pending his government’s final decision. Although in both cases his arrangements were never made official, his actions were the basis for British claims in east Africa late in the century. Owen served on the South American station from late 1829. He was originally intended to return to England by way of India, thus completing a connected chain of longitudes around the world, but, because his ship was not fit for a service of many months without a major refit, he was charged with transporting a large bullion shipment across the Atlantic. Arriving in England in August 1831 sick, exhausted, and out of favour, Owen spent a four-year interval there and on Jersey working up sailing directions based on the African surveys, settling accounts, and dealing with accumulated private and public business. He had been an early member of both the Royal Geographical Society and the Royal Astronomical Society and now he had the opportunity to attend both, providing material for the program of the former and donating instruments to the latter. After vain efforts to prepare a narrative of the 1822–26 surveys, he turned over his material to an editor, Heaton Bowstead Robinson, who brought out two volumes in 1833. The editing was faulty and confusing and by this time descriptions of the slave trade and of tropical fever had lost some of their novelty. The few reviews that appeared were unenthusiastic. Only in later years was the narrative, read in conjunction with his dispatches, discovered to be an invaluable primary source for knowledge of the African coasts. Now 60 years old and with no prospect of a further naval appointment, Owen turned to settling with his family in British North America. He secured title to Campobello Island, N.B., which had been granted in 1767 to his father and several of his cousins, including David Owen*, and established residence there in September 1835. The island, with some 700 inhabitants, cried out for innovative leadership; its economy was dependent on fishing, there was little fertile land, and timber resources were limited by its size. Investing his small capital, Owen made a strong attempt to realize the island’s commercial potential, incorporating the Campobello Mill and Manufacturing Company on 1 June 1839 and planning to establish a bank. Neither project prospered, in part because of his own limitations of character and age and in part because of the economic circumstances of the time. An enthusiastic supporter of the St Andrews and Quebec Railway who had subscribed for shares and chaired its first public meeting in 1835, he served for years as a director on the revival of the company in 1846. Owen was quickly attracted to questions of public policy. He was elected to the New Brunswick House of Assembly for Charlotte County in the general election of 1837, taking his seat on 27 Feb. 1838. 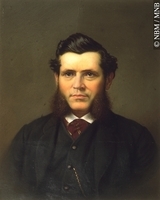 Banking, commerce, the fisheries, defence, navigational aids, and a steam packet service to Campobello Island and Grand Manan occupied his attention in the house and in committees. He also pressed for the funding of local schools, roads, and lighthouses. For several years his experience and stature made him a very visible member. Defeated in the general election of late 1842, he was appointed on 30 Dec. 1843 to the Legislative Council which he continued to attend until 1851. In 1841 Captain Owen published, privately and anonymously, The Quoddy hermit; or conversations at Fairfield on religion and superstition, which marked a climax in his growing concern with religious thought and practice. The “hermit” expounds Owen’s religious views in a work which also contains considerable autobiographical detail and colour. He advocated Church of England practice, opposed Methodism, and was a self-confessed millenarian. In practice Owen was a licensed lay reader, leading services twice on Sundays. He expended money and much energy in regenerating the parish of Campobello and rebuilding the fabric of the church. At his urgent prompting the Society for the Propagation of the Gospel sent out Thomas McGhee as missionary to the parish in 1842, but after a year McGhee moved to assist the rector at St Andrews parish. 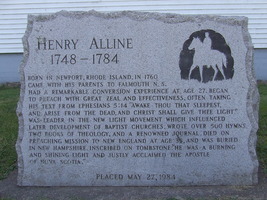 Despite Owen’s continuing efforts many islanders persisted in the New Light tradition [see Henry Alline*]. An exotic figure who became an admiral, Owen looms larger than life in the island’s oral tradition. An authoritative, ageing man who was essentially benevolent in his intentions, he was not, like many of his peers, addicted to alcohol but rather to women. His ambition was to play the role of an English landed proprietor in a colonial island setting. As a justice of the peace from 1841, he exercised broad powers in criminal justice and local administration. His concurrent appointment as judge of the Inferior Court of Common Pleas, which handled civil cases, concerned him little. He held a commission to perform marriages, there being no resident clergy, and it took him to the celebrations and parties at which he shone. From at least August 1838 Owen had hoped to secure some professional appointment and in September 1842 he began the definitive survey of the Bay of Fundy for the Admiralty. In the winter of 1842–43 lines were measured on the ice of the Saint John River, and the survey of it and its harbour was completed in the next two years. A series of seven tide-gauges provided a statistical basis for understanding the action of the world’s highest tides. 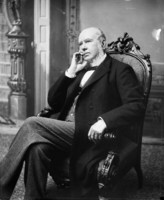 The captain, who had served on local and provincial lighthouse commissions, was critical of the siting of lighthouses and pressed his views on the authorities in Saint John and Halifax, while various British and colonial authorities sought his advice, as a senior technical expert, about both the feasibility of a canal at the Nova Scotia–New Brunswick border and the best location for the ocean terminus of the proposed intercolonial railway. The old navy veteran longed for authority to act as an armed naval presence to overawe aggressive American fishermen but ships of the squadron at Halifax occasionally undertook to patrol instead. Promoted rear-admiral on 21 Dec. 1847, Owen relinquished his surveying duties and was replaced by Peter Frederick Shortland*. Owen made one final voyage under his own pennant, returning his ship, the Columbia, to England for refit. At 73 he was content to let his son-in-law, Captain John James Robinson-Owen, assume more and more of his responsibilities at Campobello Island, with the St Andrew’s and Quebec Railway, and in the Legislative Council. On the death of his first wife in 1852 he took up residence in Saint John in the home of Amy Nicholson, whom he married within a year. Promoted vice-admiral on 27 Oct. 1854, he was pensioned on the reserve list on 6 Feb. 1855. He died less than three years later and was buried in the churchyard on Campobello Island. A man of enormous energy and single-mindedness of purpose in accomplishing the duty at hand, Captain Owen ploughed a deep and long furrow across the affairs of his age. Personal courage, religious faith, drive, and self-confidence explain his long record of achievement. His insistence on his rank and seniority, combative rivalry with his peers, and inability to appreciate the legitimate aspirations and goals of others, rendered him difficult. He received no mark of honour for his long service, no doubt because of his personality and the innumerable controversies that marked every stage of his career. Yet in his own circle of officers and acquaintances he made and maintained enduring friendships. A legendary figure in the history of New Brunswick and of southern Africa, Owen inaugurated scientific hydrography in Canada and rightly achieved enduring fame for his service in Africa. As a master surveyor he began with the techniques pioneered by Captain James Cook* but developed his own system of procedure and notation and pressed the refinement of instruments and adaptations of their use. From 1810 he successfully experimented with the use of rockets, visible over considerable distances, to coordinate the recognition of a single moment in time. He attempted to refine the use of astronomical observations as aids to surveying and navigation, and his 1827 book of longitudes was a landmark in that field of endeavour. For Charlotte County and New Brunswick he represented the half-pay officer, but writ in the largest characters. As holder of numerous civil commissions, landed proprietor, worldly senior naval officer, member of the legislature, and eccentric religious enthusiast, he left his imprint on the province’s life. William Fitz William Owen is the author of Tables of latitudes and longitudes by chronometer of places in the Atlantic and Indian oceans, principally on the west and east coasts of Africa, the coasts of Arabia, Madagascar, etc. . . . to which is prefixed an essay on the management and use of chronometers, by Richard Owen, Commander R.N., an officer of the expedition (London, 1827) and of The Quoddy hermit; or conversations at Fairfield on religion and superstition, published in 1841 in Boston under the signature William Fitzwilliam of Fairfield. Owen also prepared a translation of M. M. Franzini’s Roteiro das costas de Portugal, ou Instrucções nauticas . . . ([Lisbon], 1812), entitled Description of the coasts of Portugal and nautical instructions ([London], 1814); the manuscript of the translation is preserved in G.B., Ministry of Defence, Hydrographic Dept. (Taunton, Eng. ), Misc. papers, 105. The journals of his first African expedition were edited by H. B. Robinson and published as Narrative of voyages to explore the shores of Africa, Arabia, and Madagascar; performed in H.M. ships “Leven” and “Barracouta,” under the direction of Capt. W. F. W. Owen, R.N. (2v., London, 1833). An extensive collection of Owen’s manuscript and printed charts is also available at the Hydrographic Dept., as are his remarks on the east coast of Africa and the Indian Ocean, 1813–34 (OD 26). Other collections of his papers are found in the National Maritime Museum (London), COO/3/A; N.B. Museum, which holds his estate papers; and the County of Grey–Owen Sound Museum (Owen Sound, Ont. 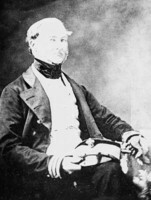 ), to which his journal of the east African survey of 1826–32 was donated in 1969 by the late Rear Admiral Sir Edward O. Cochrane, Owen’s great-grandson. The Howell papers, a further collection of Owen letters and memorabilia assembled by Rear Admiral Cochrane, remain in the possession of his daughter, Mrs David Howell of London. Owen’s correspondence with John and Amelia Harris between 1815 and 1850 can be found in the Harris papers; these belong to Dr Robin Harris of Toronto, but are temporarily deposited at the UCA. G.B., Ministry of Defence, Hydrographic Dept., Letter-books, no.10 (1841–42); Minute-books, 3 (1837–42)–4 (1842–45); Misc. papers, 30–31, 58, 61, 64–65, 68, 86–91; OD 324, Lieut. Pullen, “Narrative of proceedings of a party from HMS Columbia, 1843, Captain W. F. W. Owen.” National Maritime Museum, COO/1/A (William Owen papers); FL/1 (Matthew Flinders papers). N.B. Museum, W. F. Ganong coll., box 20, packet 1. PRO, ADM 1/2262–75; ADM51/155, 51/221, 51/1914, 51/2162, 51/2229, 51/2355, 51/3254, 51/4094; ADM 52/3949; ADM 53/126, 53/364; CO 42/1, 42/172; CO 82/2–3, 82/10–11; CO 267/83, 267/94, 267/98; CO 324/81; FO 54/1. USPG, C/CAN/NB, 5: 91; Journal of SPG, 45. Thomas Boteler, Narrative of a voyage of discovery to Africa and Arabia, performed in his majesty’s ships, “Leven” and “Barracouta,” from 1821 to 1826, under the command of Capt. F. W. Owen, R.N. (2v., London, 1835). William Owen, “The journal of Captain William Owen, R.N., during his residence on Campobello in 1770–71 . . . ,” ed. W. F. Ganong, N.B. Hist. Soc., Coll. (Saint John), 1 (1894–97), no.2: 193–220; 2 (1899–1905), no.4: 8–29. Report on the climate and principal diseases of the African station . . . , comp. Alexander Bryson (London, 1847). SPG, [Annual report] (London), 1842–43. An account of the Saint Andrews and Quebec Railway, being the original intercolonial railway, from its first inception in 1835 to the present time (Saint John, N.B., 1869). R. T. Brown, “William Fitzwilliam Owen: hydrographer of the African coast, 1774–1857” (phd thesis, Syracuse Univ., Syracuse, N.Y., 1972). 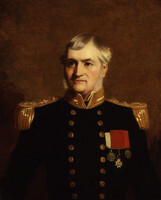 E. H. Burrows, Captain Owen of the African survey . . . (Rotterdam, Netherlands, 1979). John Gray, The British in Mombasa, 1824–1826: being a history of Captain Owen’s protectorate (London, 1957). M. V. Jackson, European powers and south-east Africa; a study of international relations on the south-east coast of Africa, 1796–1856 (London, ). J. G. Boulton, “[Paper on Admiral Bayfield],” Literary and Hist. Soc. of Quebec, Trans. (Quebec), new ser., 28 (1909–10): 27–95. P. G. Cornell, “William Fitzwilliam Owen, naval surveyor,” N.S. Hist. Soc., Coll., 32 (1959): 161–82. R. F. Fleming, “Charting the Great Lakes,” Canadian Geographic Journal (Montreal), 12 (January–April 1936): 68–77. Robin Harris, “The beginnings of the hydrographic survey of the Great Lakes and the St. Lawrence River,” Historic Kingston, no.14 (1966): 24–39. Olive [Mitchell] Magowan, “The Owens of Glensevern: part ii, Admiral William Fitzwilliam Owen,” Saint Croix Courier (St Stephen, N.B. ), 12 Oct. 1977: 14. Paul G. Cornell, “OWEN, WILLIAM FITZ WILLIAM,” in Dictionary of Canadian Biography, vol. 8, University of Toronto/Université Laval, 2003–, accessed April 20, 2019, http://www.biographi.ca/en/bio/owen_william_fitz_william_8E.html.